You don’t have to be rich and famous to own a personalised number plate. 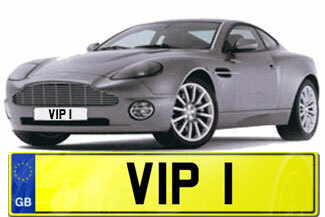 In fact, anyone can purchase a unique number plate that has a personal meaning. Just like people in most walks of life, celebrities are drawn to owning a plate that has a significant meaning rather than one with a sequentially generated number. Which celebrities own personalised number plates and what are their registrations? Here are some of the best. When the UK first introduced number plates, local authorities issued them on a first come first served basis. London City Council was assigned the prefix A so its number plates started with A 1, A 2, A 3, and so on. As the Queen owns A 7, she owns the seventh number plate to have ever been registered in the city. Staying with royalty, the personalised number plate 1 ANN is owned by Princess Anne, the Queen’s daughter. It was a wedding gift that she received at her first wedding. If you are a fan of the reality television series The Apprentice, you will be familiar with this number plate as it features regularly on the show, including in the starting sequence. It is owned by the star of the programme, businessman Lord Sugar, formerly known as Sir Alan Sugar. Sir Ian Botham has been pictured with a Bentley bearing this personalised registration. The former England cricket star is often referred to as Mr Beefy, so this number plate fits perfectly with that nickname. The late Paul Daniels owned the number plate MAG 1C which isn’t surprising given his profession as a magician. His relationship with the number plate is surprising, however. He said he once offered to pay £1,000 for the registration MAG 1C. This was before he became famous, but his offer was refused. Daniels later found out the plate had been sold to a Scottish councillor. He got his opportunity to purchase it along with the Ferrari it was on because the seller was tired of being asked if the car belonged to Paul Daniels. Amir Khan is a boxer and a former light-welterweight world champion. He also won silver at the Olympic games when he was just 17. His number plate is BOX IIG. He’s also believed to own a number of other personalised number plates including A180 XER, V60 XER, and R6 KKO. Duncan Bannatyne is a businessman who runs, among other things, a fitness and leisure company. He is most famous for his appearances as a dragon (investor) on the BBC programme Dragon’s Den. His registration is 23D. Another businessman and former Dragon’s Den dragon who owns a personalised number plate is Theo Paphitis. His is named after the largest stationery retailer in the UK, Ryman, which he owns. He also owns the number plates T1 HEO, which looks like his first name, and 22 TP, which are his initials. Jimmy Tarbuck was a popular comedian in the 70s, 80s, and early 90s, regularly appearing on television in a range of different programmes. He has owned the number plate COM1C since the 1960s when it was first released. This is another number plate owned by a boxer, this time the former featherweight world champion Prince Naseem. The Sheffield boxer got the number plate as it is a shortened version of his name. He has used it on a number of luxury vehicles. Vinnie Jones is as famous for being football’s 1980s hard man as he is for his current acting roles in movies like Lock, Stock and Two Smoking Barrels and X-Men: The Last Stand. His number plate is 100 V J.
James Martin is a celebrity chef who has been cooking food on our television screens for years. It makes sense, therefore, that his personalised number plate looks like the word chef – 6 HEF. Robbie Williams is a singer and former member of the boy band Take That. His personalised number plate looks like the word SORRY – S8RRY. According to the story, Robbie Williams bought this registration as a way of apologising to his fans for spending so much money on buying a Ferrari. One of the UK’s most famous former racing drivers, Sir Stirling Moss, is a huge fan of personalised number plates. He has owned SM 7 and 7 SM since the 1960s, around the time he retired from Formula One Grand Prix racing. The number plate VIP 1 was used on a vehicle that transported Pope John Paul II when he visited Ireland in 1979. Its new owner is also the owner of Chelsea Football Club – Roman Abramovich. This is yet another personalised registration owned by a former star of the television series Dragon’s Den. This one is owned by businessman James Caan. Nicky Clarke is a celebrity hairdresser, so this number plate is the perfect fit – H41 RDO looks like the word hairdo. Tommy Walsh is famous for appearing on Ground Force as well as other DIY-related programmes. He couldn’t have bought a better number plate to represent his public persona – MR DIY. Fiona Fullerton is an actress most famous for appearing in the 1985 James Bond movie, A View to a Kill. She was the spy Pola Ivanova and has also appeared in other movies as well as British television programmes, plus she is a property investor. Her personalised number plate, 2 FF, is on her beloved Jaguar.